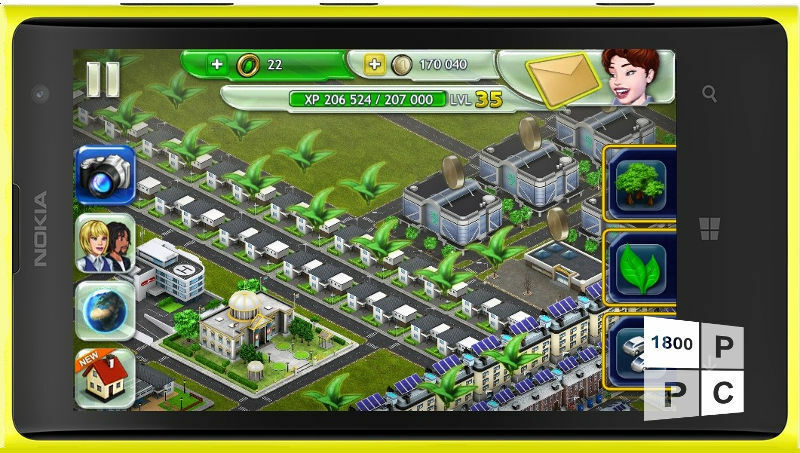 Modern Mayor is a city-building game made especially for gamers with green thumbs. It was part of the purchase of the Nokia Devices and Services division earlier this year and was formerly called Nokia Modern Mayor. The game has just received an update that brings some noteworthy changes and improvements, which includes new buildings and decorations as well as reward for level ups. There are also some major performance improvements and more under the hood. Traffic simulation, measure your road network efficiency and receive rewards! Daily and weekly missions. New missions every week! The idea behind Modern Mayor is to clean up a city that’s full of pollution while also keeping it afloat financially. Download the new update via the QR code above and post your thoughts on the game in the comments section below this article.